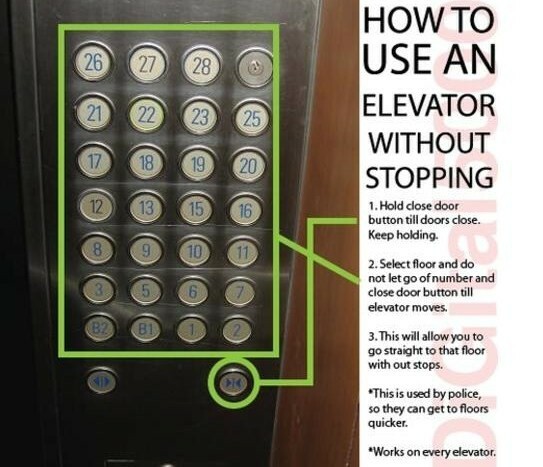 I heard a lot of elevator hacks in my day, but this takes the cake, as it works on almost any elevator. Simply hold the door close button and hold down which floor you want and boom, you're a jerk for not stopping for anyone else. Work in most Hotels and office buildings.